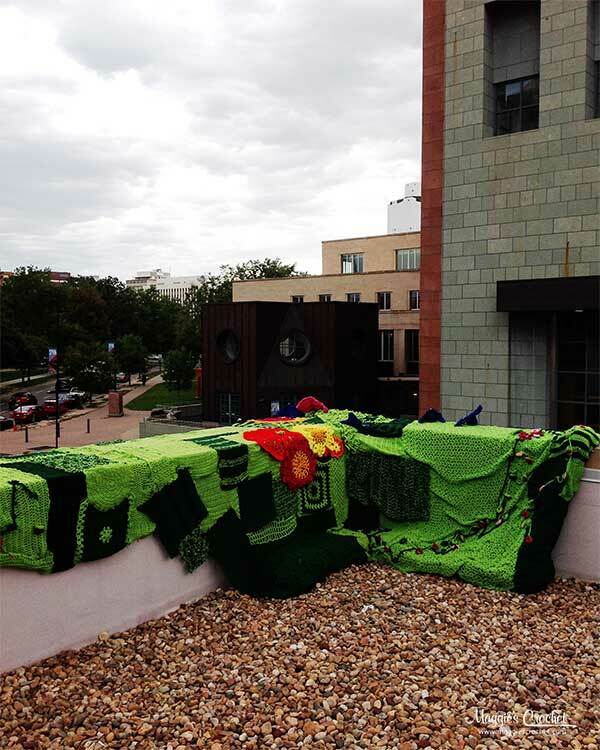 Crochet bombing takes on a creative edge with the Garden of the DAM(ed) display at the Denver Art Museum. 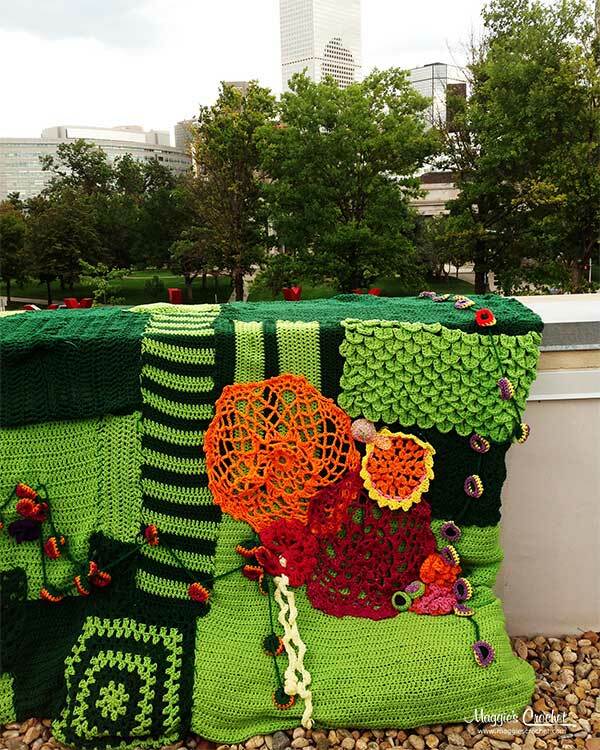 Created and constructed by the Ladies in Fancywork Society (LSF), this crochet garden adorned the roof and a portion of the museum exterior during the SPUN exhibit. 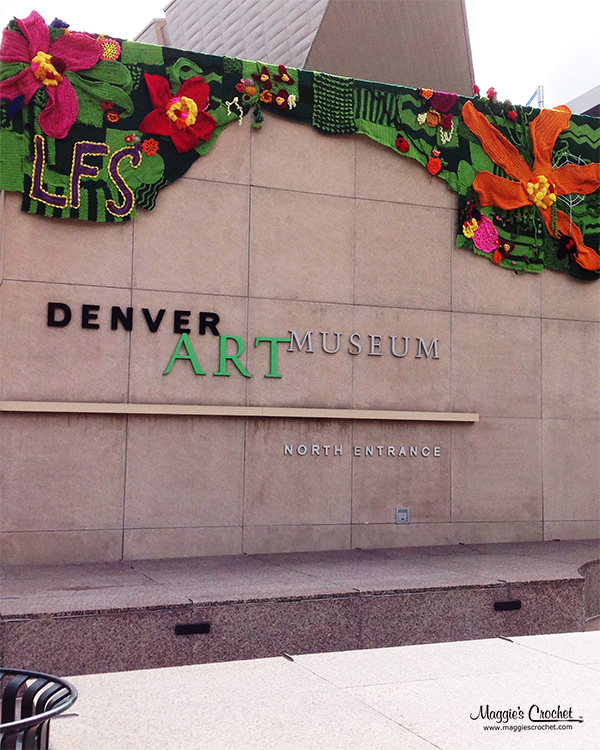 While the title might give the illusion of something else, the name actually refers to the garden at the Denver Art Museum (DAM). What you see is a lush collection of color placed on a bed of green. 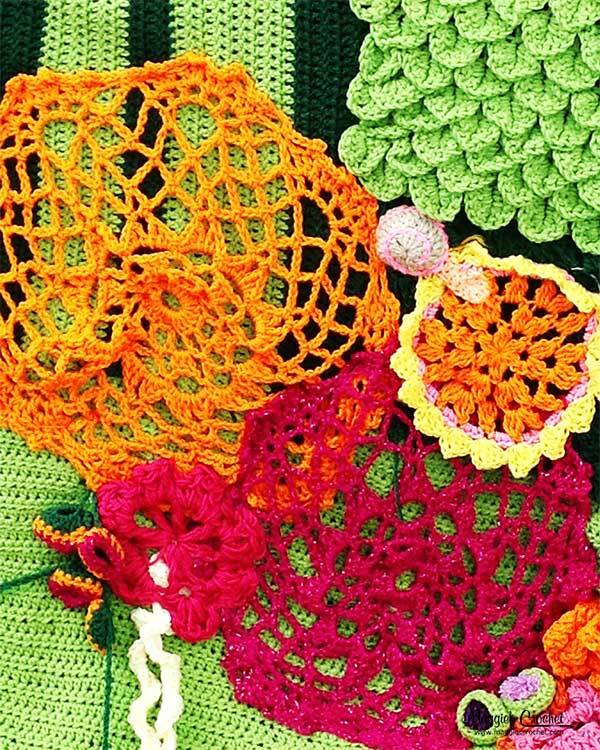 The colorful floral crochet bed was constructed with a variety of crochet stitches; from lace to the alligator stitch. 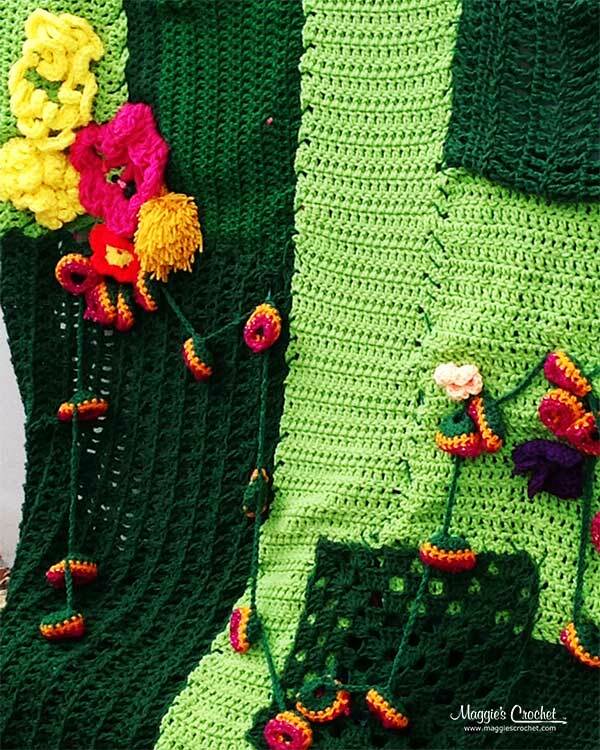 The LSF refers to the masterpiece as a vertical wool garden made from an assortment of green blocks for the fauna and colorful flowers and embellishments for the floral. 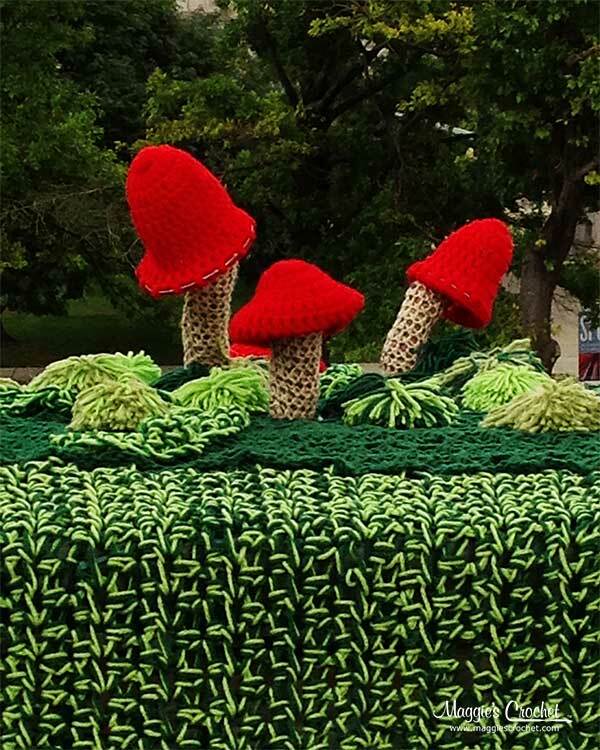 There are even vibrant toadstools that stand up tall on the piece. 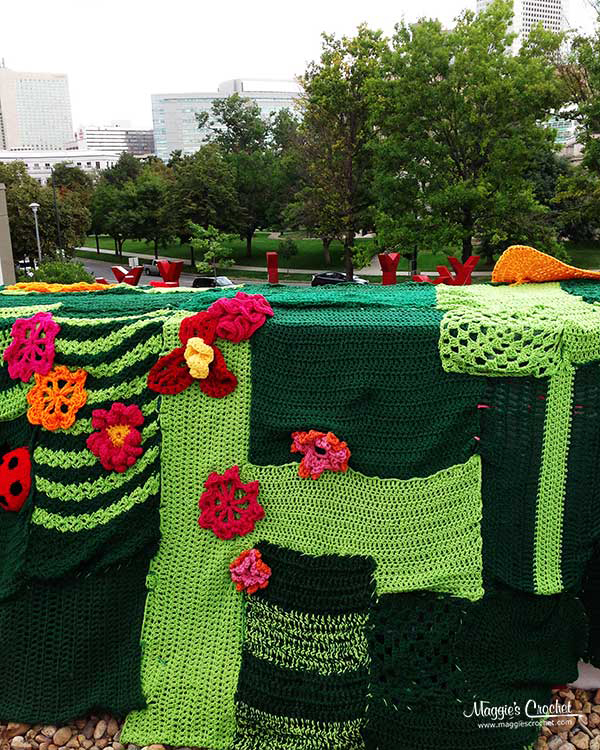 The Garden of the DAM(ed) display was collaboratively made by four artists. 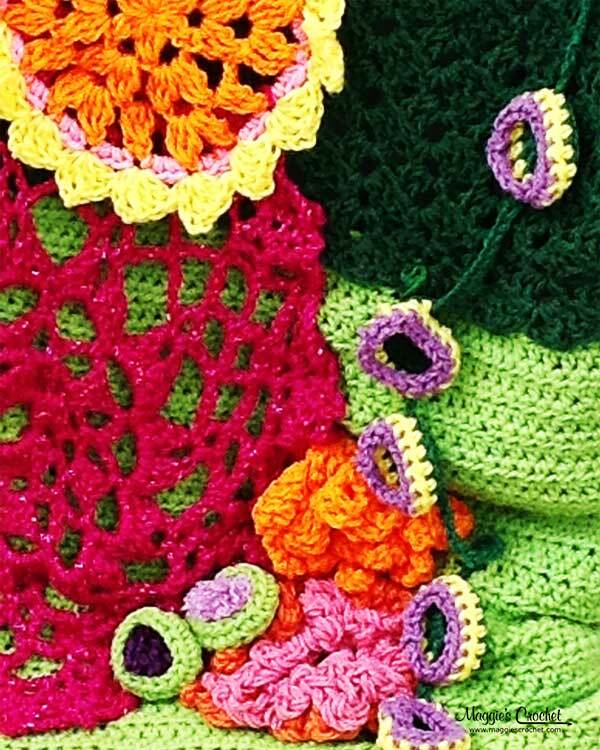 The process of crocheting the art piece took about two months, but that doesn’t include the time put into planning and designing this eye-catching garden. Plenty of planning went into the piece to make sure the result was exactly what you see in the pictures. 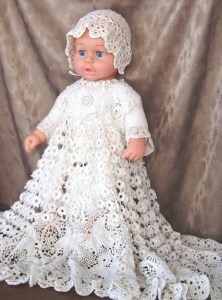 Crochet pieces like this one are a great way to explore your creative side with this needlecraft art. 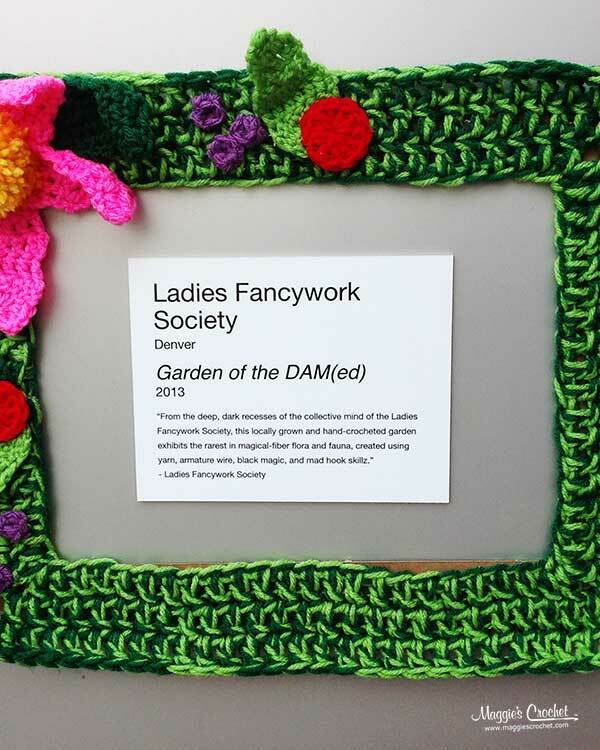 Make your own crochet garden using the Garden of the DAM(ed) as inspiration. 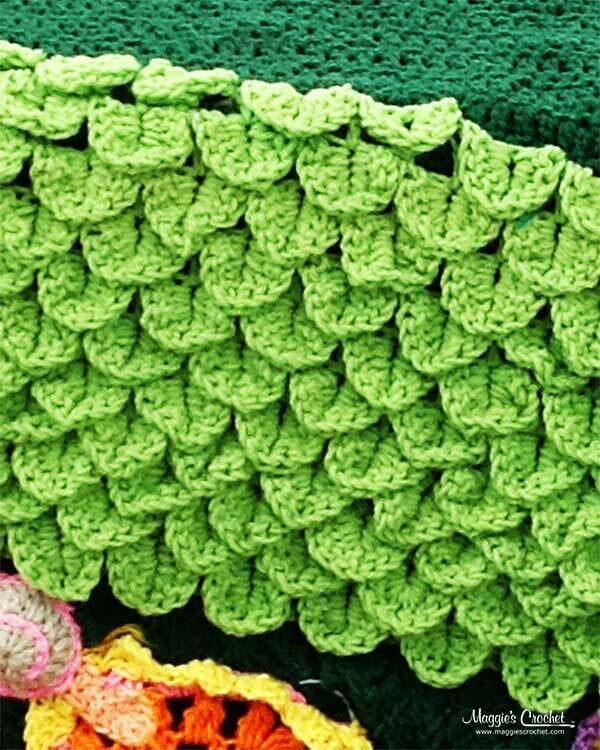 Start with green blocks made from your favorite crochet stitches and then go crazy with color. 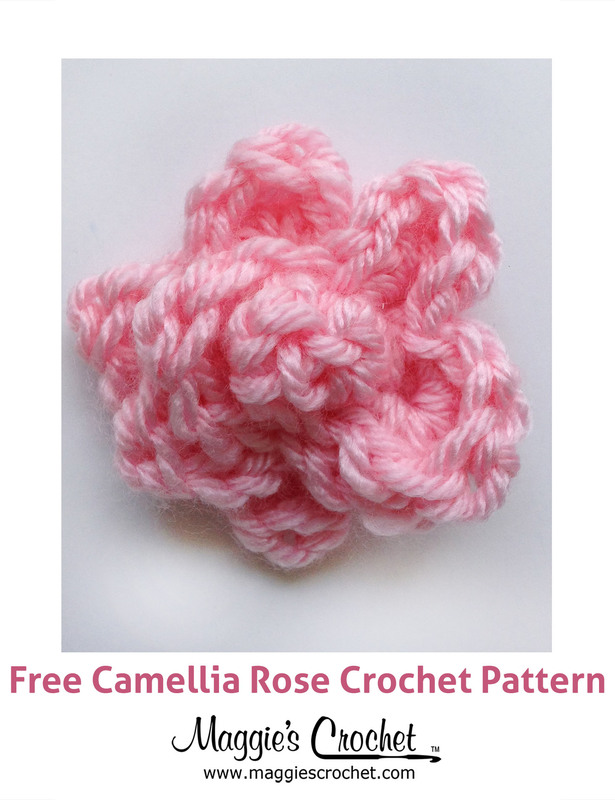 Are you feeling inspired to try some free-form crochet? 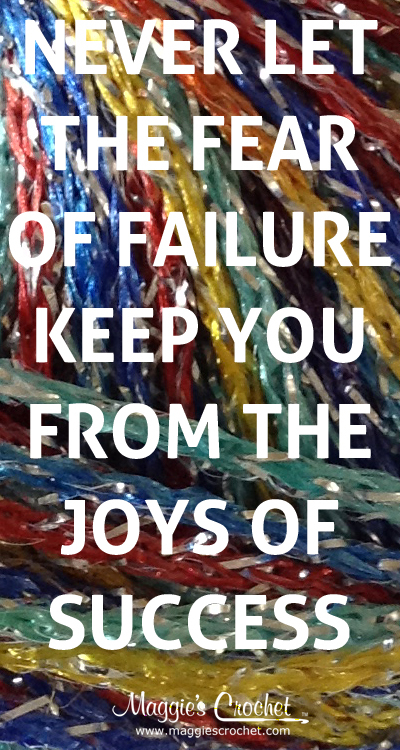 You may also want to try hyperbolic crochet techniques as used in the Crochet Coral Reef.